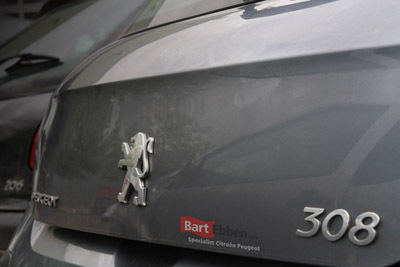 Buy used Peugeot 308 car parts from a trusted supplier. 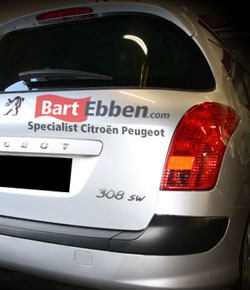 Many different used car parts Peugeot 308 can be shipped from stock by Bart Ebben. Our inventory does not only include an engine or gearbox, we can deliver parts like a turbocharger, cylinder head, fuel pump, fuel tank, throttle body, exhaust manifold, airbag, ABS ESP unit, steering rack, suspension strut, ECU, a front bumper, etc. just as well. Auto parts for Peugeot 308 SW and 308 cc models are also available. Are you interested in all our other part groups? To find all matching Peugeot 308 used car parts in our stock you can click through our online stock. Our salesteam will be happy to help you find the right used car parts Peugeot 308, 308 CC and 308 SW. Just send us a car part request and we will get back to you soon with availability and price information which will be sent to you by email shortly after. Prefer searching for car parts yourself or outside our opening hours? An extensive overview of all possible Peugeot 308 used car parts can be found in our online catalogue. Used car parts Peugeot 308 can be shipped worldwide, we take care of shipment for all kind of spare parts to destinations all over the world on a daily basis. Using special and proven methods to pack your part we take the nescessary precautions making sure it arrives unharmed. Used car parts Peugeot 3008 can be found at Bart ebben as well.